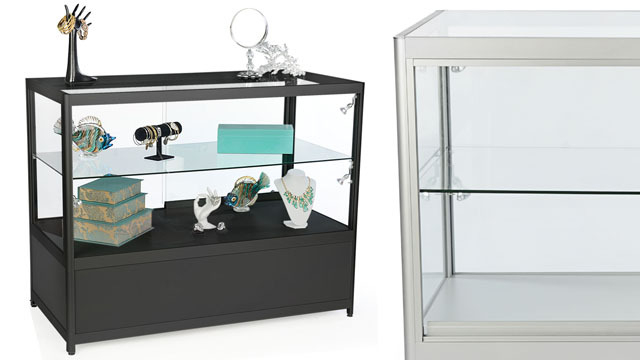 This showroom cabinetry with LED lights is 4' tall and it can be configured with complementary store fixtures to assemble a complete showroom. 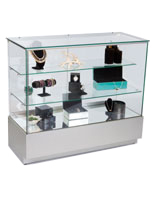 Lighted displays are a great way to draw attention to smaller items. 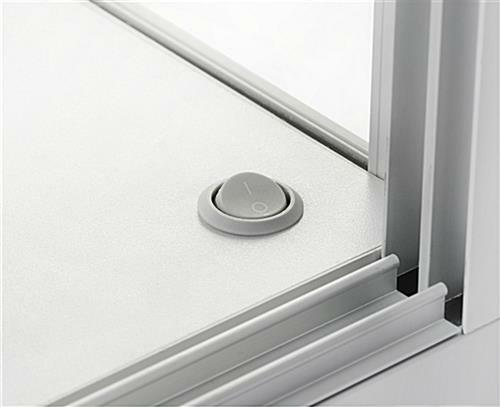 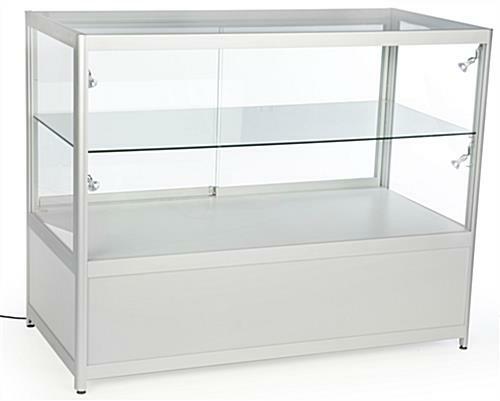 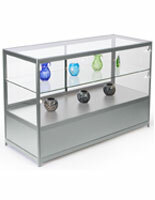 A tempered glass shelf is adjustable and break resistant; light passes through it from one level to another for better visibility of displayed items. 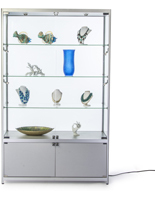 This cabinetry with LED lights is an effective and beautiful store counter for retail showrooms and galleries. 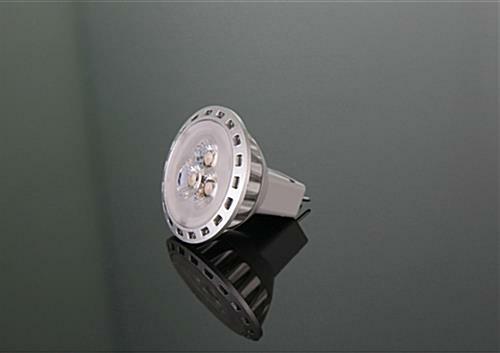 Four long-lasting (read: environmentally friendly) bulbs provide lasting illumination. 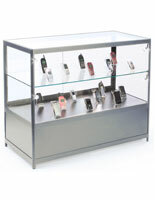 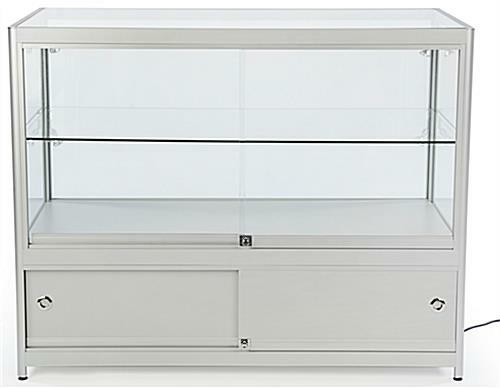 Buy this glass case constructed of laminated MDF & aluminum for museums, galleries, and retail showrooms to protect and spotlight artifacts, merchandise, and fragile or expensive collectibles. 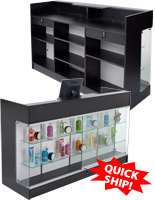 This cabinetry with LED lights has a sliding back door and hidden storage underneath for overstock. 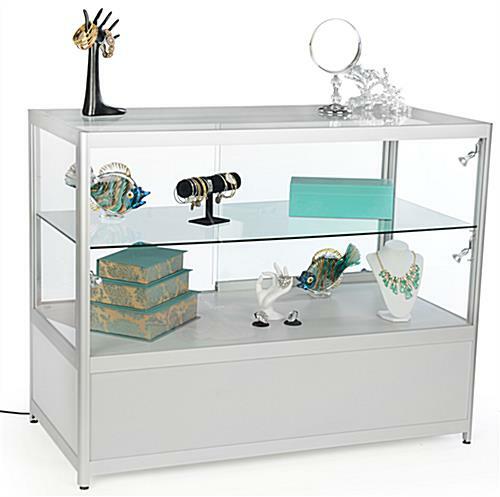 Streamlined and sleek, these silver merchandise counters draw attention to wares and showcase items while saving energy. 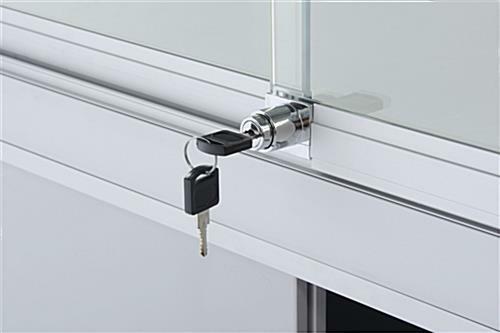 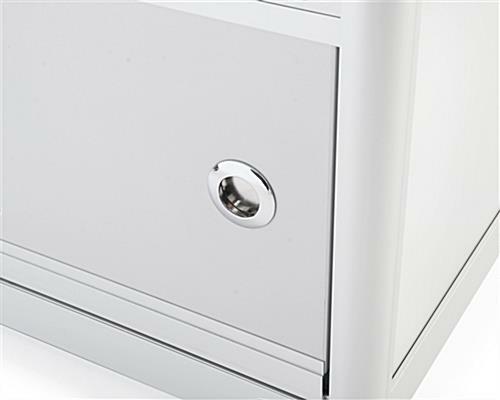 A 130" power cord allows the user to turn the unit on and off easily. 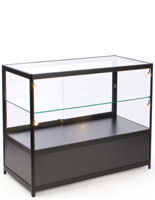 48.0" x 38.0" x 23.6"
47.1" x 11.3" x 22.3"
47.1" x 22.8" x 22.3"